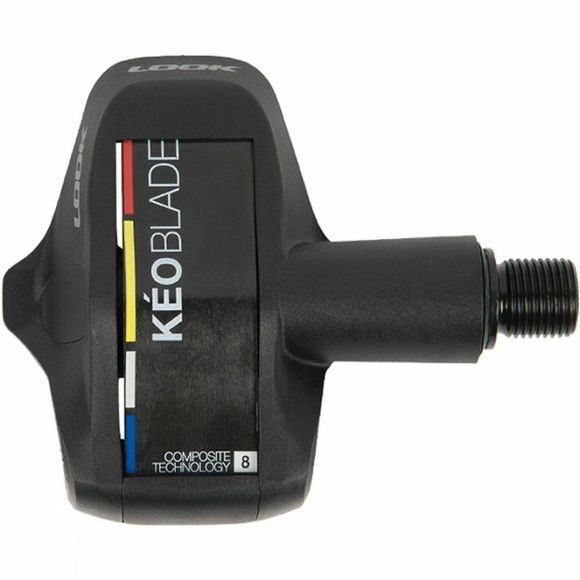 The Blade brings together all the benefits of a blade pedal: crisper in and out clipping, better foot support for more security, aerodynamic shape and low weight (compared to a conventional spring system). The platform contact area has been enlarged, providing excellent pedalling stability. Blade technology uses a blade instead of a conventional metal spring, which ensures safe cleat entry/ release, an aerodynamic shapeand low weight. 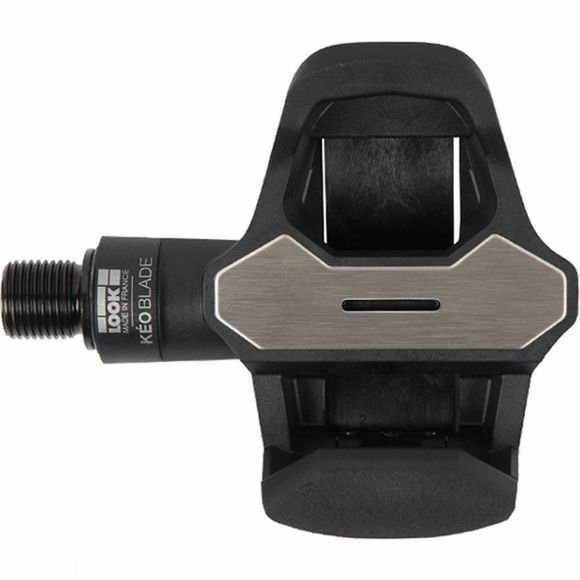 //The Blade Carbon pedal spindle was designed to obtain a very low stack height, only 13mm. It uses a needle bearing cartridge installed in a central position for better stress resistance while pedalling and two spaced out ball bearings which distribute the load, providing increased rigidity between the body and the length of the spindle guaranteeing excellent rotational speed. Axle play is eliminated by a wave spring that constantly applies a pre-load that does not deteriorate over time. When pushing hard on the pedals, this system can completely eliminate the annoyances caused by any noise and sensation of friction.LOOK axles are only approved after a rotational test of 2 million cycles at 100 rpm with a load of 90 kg on the centre of the pedal and an eccentric rotation. This is equivalent to a sprint by André GREIPEL of 1700 watts at 100 rpm for 333 hours!//To answer the desires of some of the most demanding cyclists, notably competitors, the pedal and cleat system must allow efficient power transfer through a broad and rigid contact surface. Because of this, the Blade Carbon platform surface is covered with a 64mm wide, stainless steel plate that has been moulded into the body and optimizes, regardless of pedalling style, the over 400 mm² cleat/pedal contact area.